Psst! Hey, you! Remember over the summer when we tackled (or maybe some of you thought about or considered or toyed with the idea of) Teachers Write with Kate Messner and Gae Polisner? I have wonderful memories of writing in my laundry room and sharing excerpts of my work in our Progress Pool Party. I want to try and explain how much I miss those summer days but then I'll get all weepy and ugly-faced and puffy-eyed, so I'll just move right along. As I look ahead to what 2013 holds for me in terms of writing, I definitely have dreams of continuing my writing and of trying (again) to be more conscious and consistent with my writing habits. This was one of Kate's first lessons of the summer. It's not about finding the time it's about making the time and making writing a priority. I had a plan for making it fit into my summer fun but starting a new position definitely threw me for a loop in terms of finding time to fit everything into my life during the school year...I say this as my elliptical shoots me a stare of death. In anticipation of continuing this journey further and further into the life of a writer, I have decided to make a Teachers Write wish list for Santa. Christmas is only a couple of days away, but I think he might be able to get the job done. 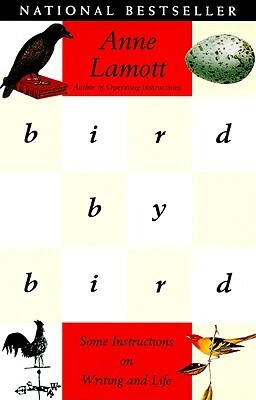 Over the summer, I read Stephen King's On Writing and Kate Messner's Real Revision and lots of my Teachers Write friends suggest I read Anne Lamott's Bird by Bird. All summer, I was working on my WIP in a Word file. It worked fine, but I started my next novel in Scrivener and love how I can plan and outline. It makes all the little notecards look so pretty. I mean, it's all color-coded online! I love the trial and am ready for the real deal, please. The last thing on my die-hard, truly-want, please-please-please, Christmas list, is a membership to the Society of Children's Book Writers and Illustrators. All of my writer friends think this is the next step for me...and if I'm truly serious about writing, which I really really am, then this is a must. These three things are on the top of my list but I would also love things like a ream of paper (because I need to print my draft after I get all the edits made so I can send it to Mr. Brian Wyzlic, aka my Maquizga), ink, sticky notes, and colorful pencils or markers (for my continuing editing endeavors). Thanks for, Santa, I totally get that I'm 32 and maybe a little bit old to be writing to you...but I'm a believer like that. Say hello to Mrs. Claus and the elves for me!